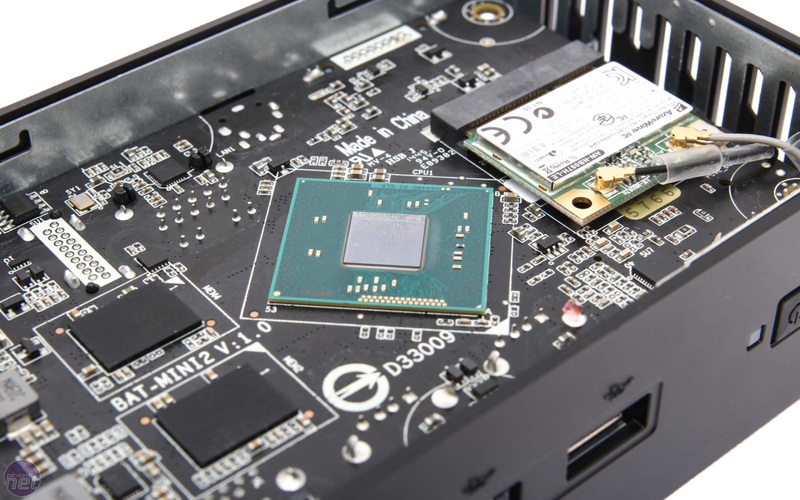 The low power CPU might not be something most PC enthusiasts think of when building a new gaming machine or even a PC for less demanding, general tasks. 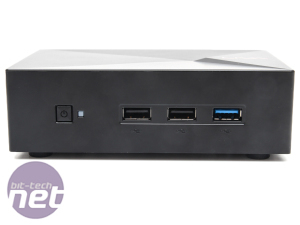 However, they remain pretty popular across a range of tasks from office PCs to digital signage and given enough grunt, there's obviously plenty of scope for using them as HTPCs too. 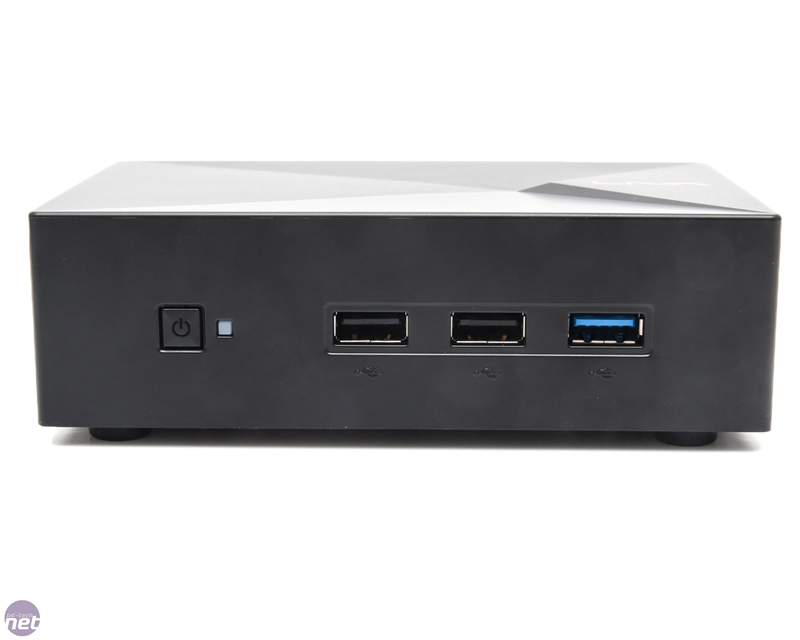 There's a considerable range of devices to choose from, including Intel's NUC or one of its various spinoffs such as the Gigabyte BRIX. These are usually based on popular laptop CPUs but the last year has seen a few other platforms take shape too. Intel's relentless march to improve power efficiency makes for some intriguing products and its Bay Trail SoC is one of them. 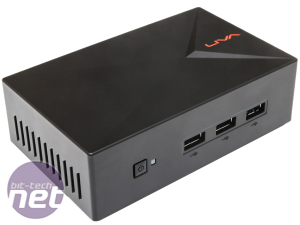 ECS was kind enough to send us its LIVA X mini PC - a Bay Trail-M-based unit that sports a Silvermont Celeron N2808. This offers a Turbo frequency of 2,250MHz, with two CPU cores, but lacks Hyper-Threading. Its shortcomings in raw grunt are counteracted to some extent by the power draw. 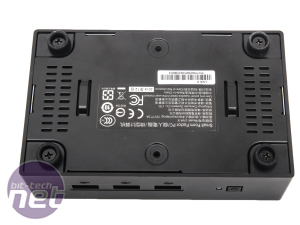 At just 4.5W, the Celeron N2808 is clearly well into fanless capability and the LIVA X does indeed do away with fans entirely, relying on a couple of large internal heatsinks instead. 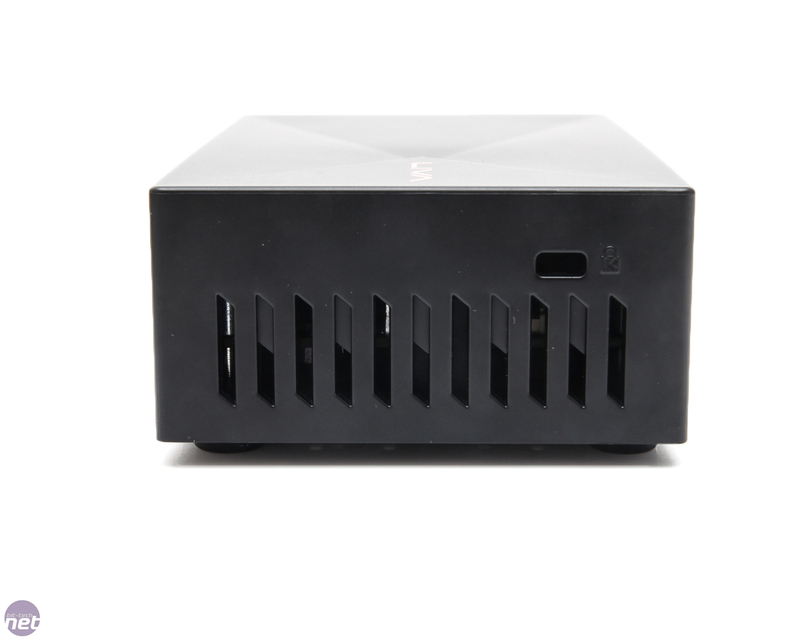 The unit's plastic exterior is well-made and fairly unobtrusive and it's miniscule dimensions of 135mm x 83mm x 44mm (w x d x h) mean that it can quite easily squeeze into tiny spaces or sit unnoticed on a TV cabinet. 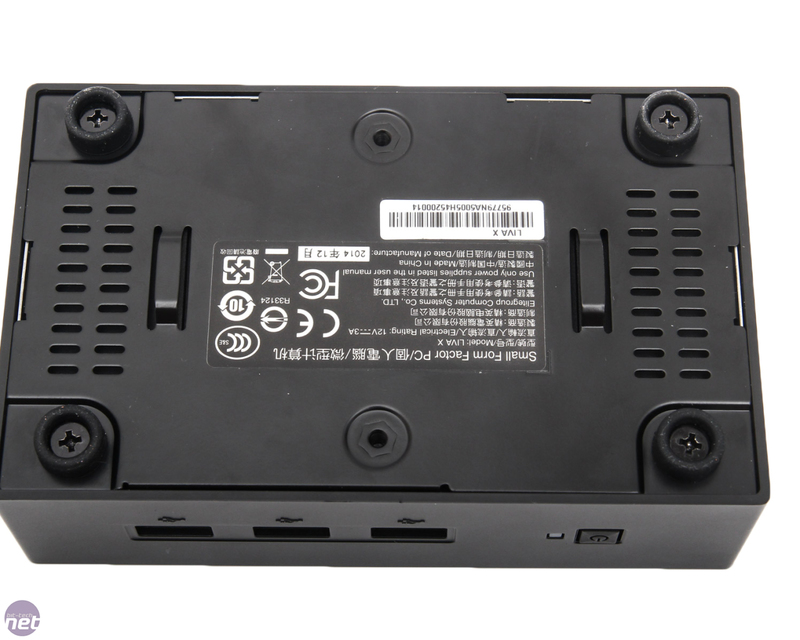 It's also equipped with a VESA monitor mount and it would be pretty easy to wall-mount it too. 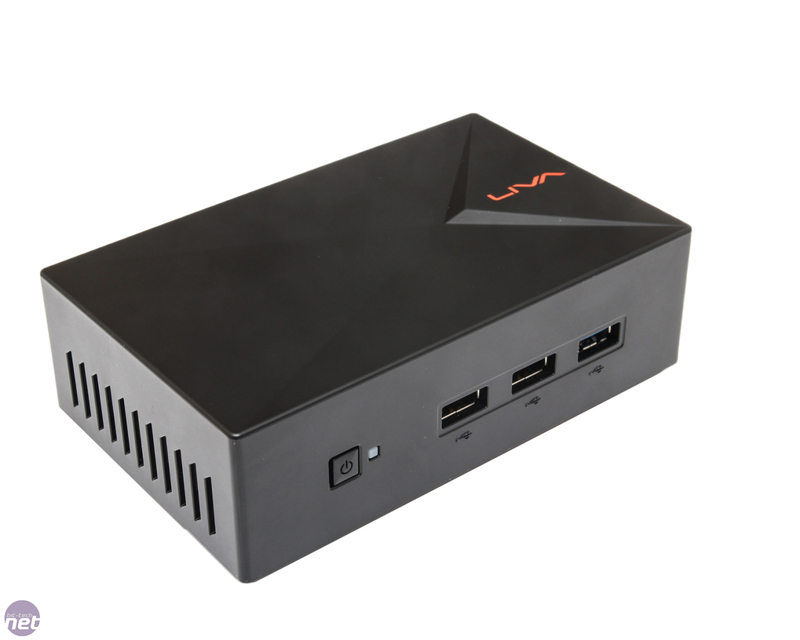 The LIVA X, in particular, comes with 2GB of 1,333MHz DDR3 and 32GB of flash storage courtesy of a Toshiba 032GE4 SSD although other capacities of memory and flash storage are available too. It's a relatively basic unit in terms of ports, with one USB 3 port along with two USB 2 ports at the front, while the rear sports HDMI, Gigabit LAN and VGA, along with a headphone jack and power input for the included external adaptor. As well as Gigabit LAN you also get an AzureWave 802.11n and Bluetooth adaptor, which is removable. The large heatsink inside attaches to the memory and CPU by way of thermal pads, before being secured to the rest of the chassis via a baseplate. 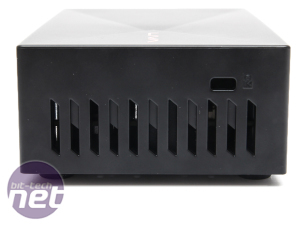 There's little to report here about the build quality - it all fits together neatly and as there are no moving parts, the unit is fairly bomb-proof.